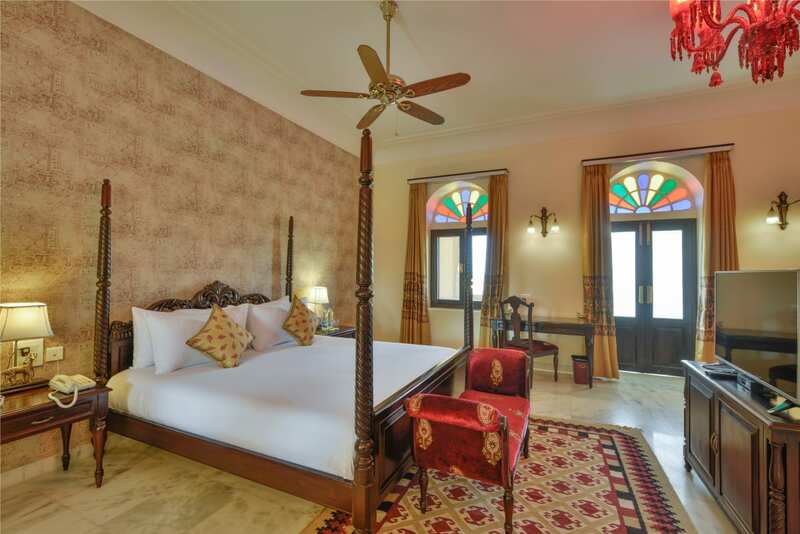 Jaisalkot – Hotel in Jaisalmer away from the hustle bustle of Jaisalmer, Jaisalkot comprises 25 acres of land and is enclosed within a strong and majestic fort. 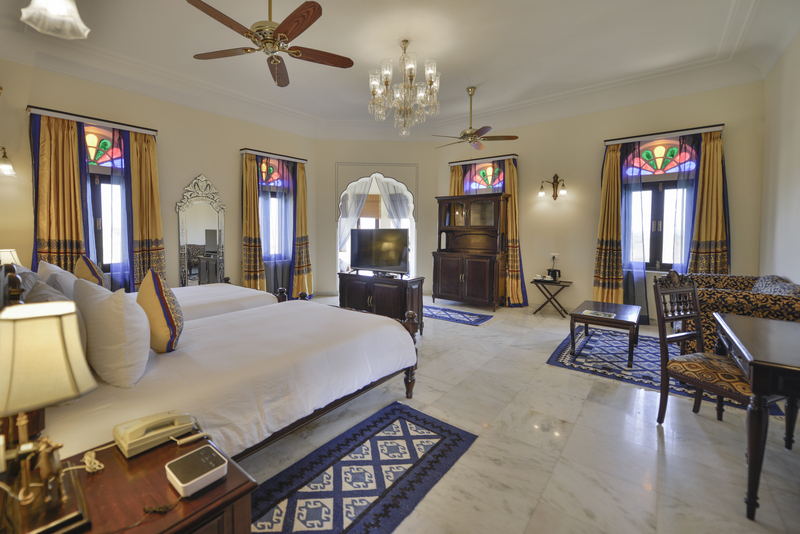 The ambiance is that of a lost world of royalty – quiet and elegant. 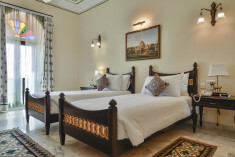 Each room overlooks either the massive front Maidan or the vast desert scape. The spa, pool, gym, restaurant, and bar are spread luxuriously across the property. 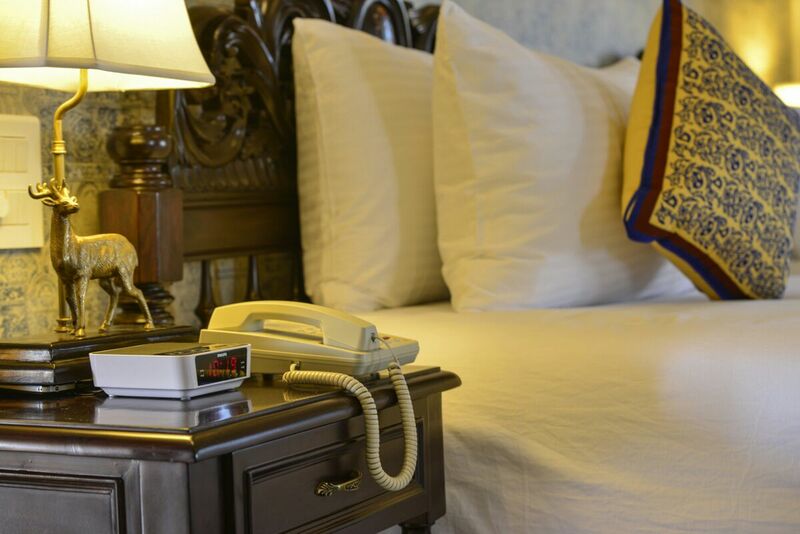 In spite of the old world charm, the hotel is equipped with all modern amenities required for a comfortable and peaceful stay. 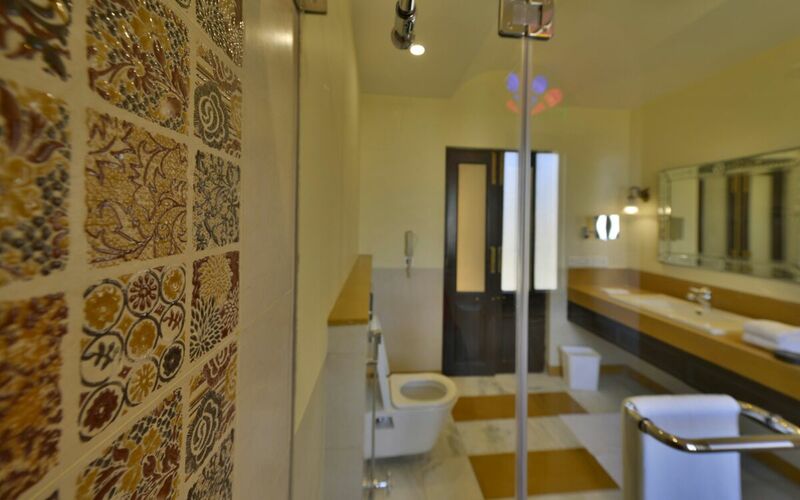 Jaisalkot offers its customers, what no other property can – a chance to go back in time. 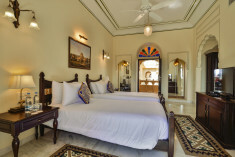 Jaisalkot is one among the best hotels in Jaisalmer. 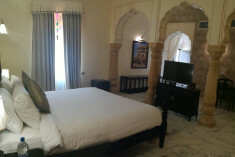 Jaisalkot makes true and top impression in the list of hotels in Jaisalmer. This hotel is located off Sam road, which connects Dhanana and Jaisalmer and leads to the famous sand dunes. 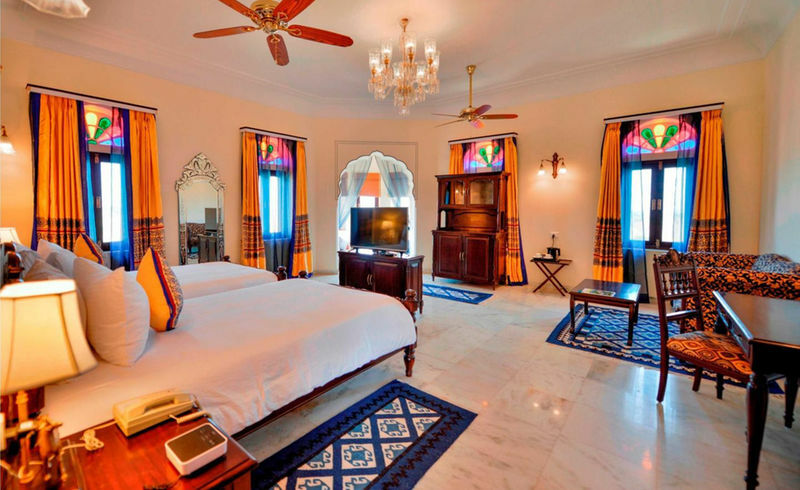 As a luxury boutique resort it offers 50 rooms. The indoor banquet hall spans 2000 sqft with 4 acres of landscaped garden space for outdoor events and activities. 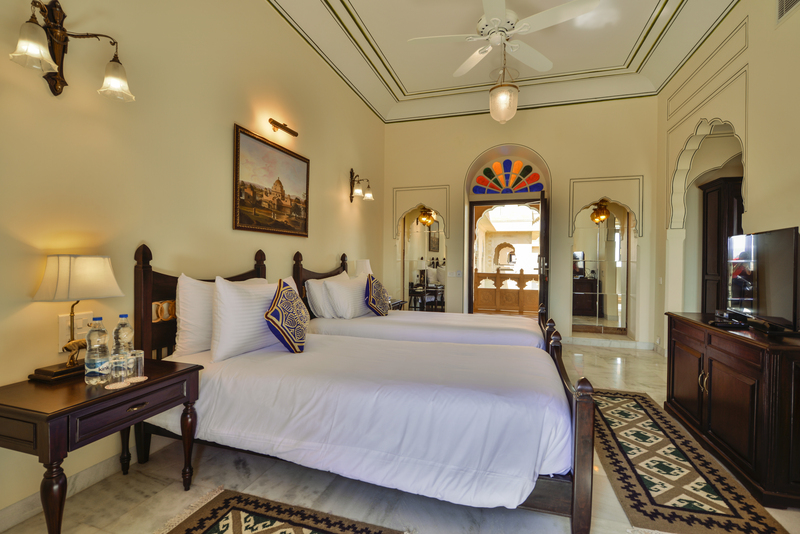 Romance is always in the air and guests at Jaisalkot can experience the same from the very moment they step in. 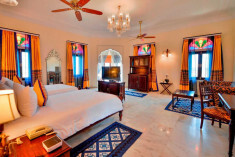 Guests are welcomed in true royal style and the rooms are decorated to suit the tastes of honeymoon couples. Couples get to enjoy champagne near the lovely swimming pool. Dinner is served in the intimate courtyard with lit candles, striking a perfect mood for romance, where guests can enjoy delicious food under the stars. 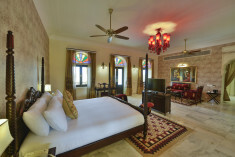 The environment at Jaisalkot is relaxing as it is located away from the bustling city of Jaisalmer. Guests can see peacocks strut across the green lawns while enjoying some classical music played in this wistfully romantic resort. The serene and tranquil hotel provides the couple with a private space where they can enjoy according to their will. Aesthetically designed and carefully appointed, all our four categories of suites are hallmarks of timeless elegance and modern convenience. 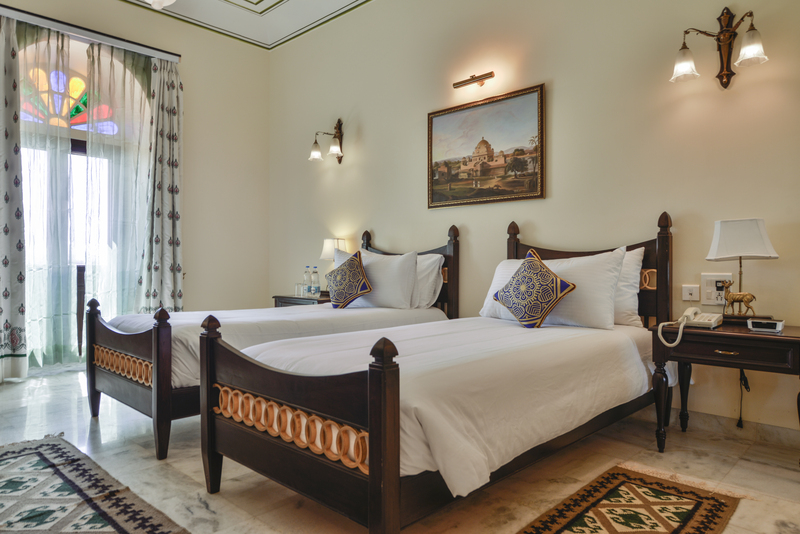 The upscale décor is inspired by Jaisalmer’s royal narrative with a thoughtful personal touch in everything – from luxury bed linen and curtains selection to rugs and furniture. 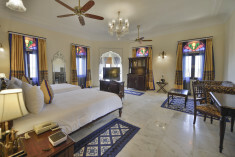 Our hotel is one of best if you want to book the Best Hotel in Jaisalmer. 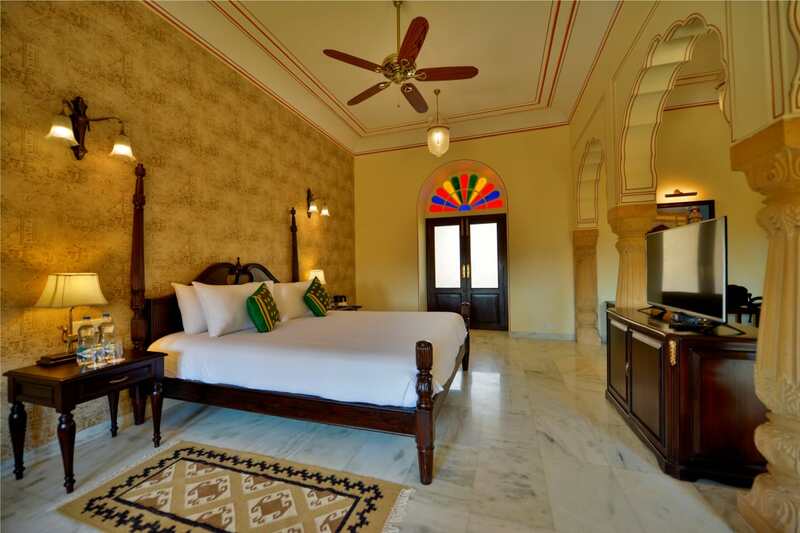 Jaisalkot is the ideal hotel to stage a destination or a fairy tale wedding. 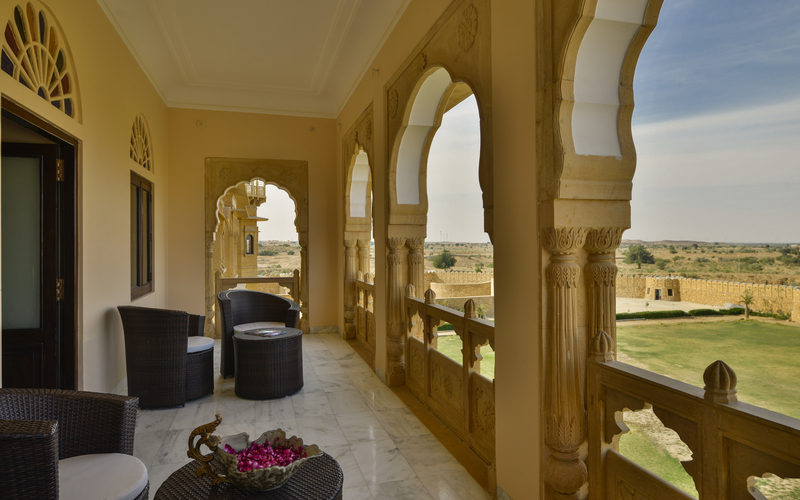 Guests get to indulge in an authentic Indian Experience while appreciating the culture and historic architecture of Jaisalmer. 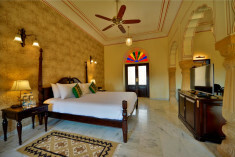 The rooms of Jaisalkot are unique and beautifully decorated, and are equipped with all modern luxuries. Guests can relax in their royal suites or spend some time out in the sun in the lovely swimming pools of the resort. 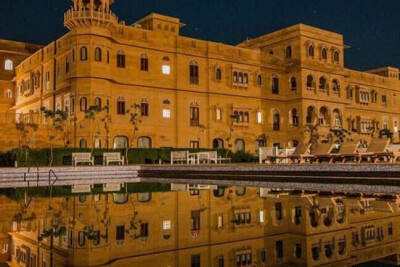 The towers of the palace stand high and guests get to enjoy the striking desert scenery and the pleasant lanes which are just perfect to stroll around. Those who love nature can opt for bird watching walks and opt for camel and jeep safaris for more adventure. Hot air balloon rides too can be arranged. 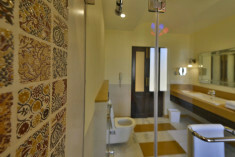 Jaisalkot also offers facilities for those who love to remain fit even when on a holiday. There is a fully equipped gym or one can just take a morning walk through the lush green gardens that surround the resort. The resort also has indoor and outdoor games like chess, badminton, football and volleyball to keep the guests entertained. Whilst at Jaisalkot, make sure you indulge Suraman Mahal as if offers the finest delicacies from Indian cuisine. The restaurant also serves the mouthwatering fresh Rajasthani thali that refreshes the taste buds. The chefs here serve scrumptious multi cuisine food amidst a captivating ambiance. This is an idyllic restaurant where guests can quench their thirst for delectable dishes like Chinese, Italian and continental. Jaisalkot also has Shatranj, a well equipped bar and Mashal, which is a sunset grill restaurant and lounge. 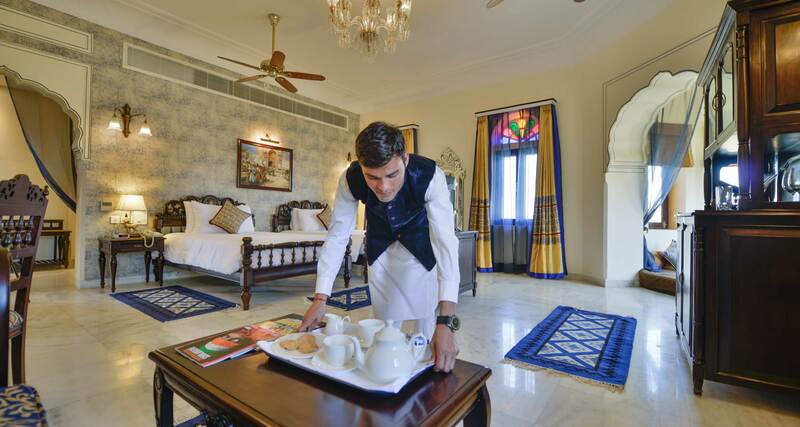 For typical Indian foodies, Mashal serves drooling Rajasthani cuisine while the guests are entertained with folk dance and cultural programs, while they dine in the courtyard under the star lit sky. Enjoy glimpse of rich cultural heritage and colours of Jaisalmer. 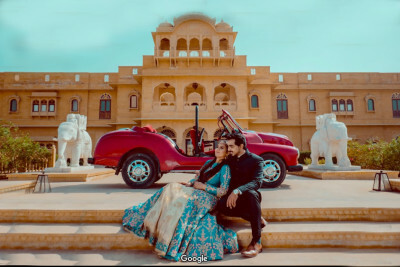 Get married in Jaisalmer to give you an unbeatable experience on your wedding day at Jaisalkot, Jaisalmer. Located near to the Desert and the Sand Dunes, everything about Jaisalkot feels special. 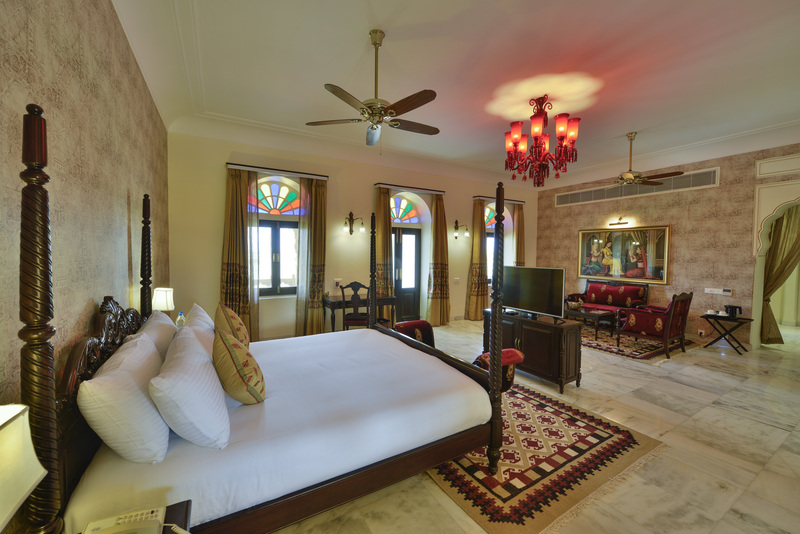 With a balanced design and bucolic surroundings, Jaisalkot also offers gracious service and luxurious rooms with a flawless service. Visit today for an unforgettable experience.